When we implemented these new policies, we found that the community understood and supported our desire to help more cats. We were able to maintain a safety net for cats who needed immediate help, work with people having problems keeping their pets to see if they could turn the situation around (usually they could! ), and to provide better care to more cats. – Barbara Carr, Executive Director the Erie County SPCA, Buffalo, N.Y.
WHAT IS THE MILLION CAT CHALLENGE? The Million Cat Challenge is a campaign to save the lives of 1 million cats in North American animal shelters over five years. It is based on five practical, evidence-based initiatives that can work in shelters of any size or type, or with any budget. Shelters across the continent have already joined. Hundreds of thousands of cats have already been saved. But we still have a long way to go. Whoever you are, wherever you live, if you have it in you to save the life of one more cat or a thousand, you have a place in the Million Cat Challenge. If you’re a shelter, join us. If you’re an animal organization, support us. If you like our work, donate to us. If you’re a cat lover, adopt, rescue, foster, support your local shelter – and tell them about us. But first, turn these pages and learn about us. The cats are counting on you. Live release rate for 2014 was 63%, and this year’s is 92%. Our intake numbers are down, our adoptions are up, and euthanasia is down significantly! Extra bonus to the numbers: We have saved over $40,000 just by decreasing length of stay and euthanasia. I want to share the numbers with everyone who will listen! Save a million cats in five years: It’s an audacious goal. Not because we didn’t think our shelter community could do it. We know they can do it; they already save millions of lives every single year. It was a stretch goal because we were asking them to save one million more. What happened when we issued our challenge to do just that in January of 2014? Shelters registered in droves. The pledges poured in faster than we could build a website. 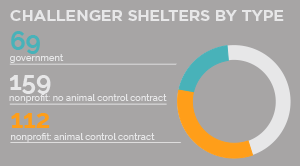 The number of shelters in the Challenge reached 340 by the end of the second year. These shelters stretched across 5,237 miles and were caring for over 840,000 cats between them. On July 22, 2015, the number of cats saved – over and above the numbers saved yearly before the Challenge – surged past the quarter-million mark. By the end of 2015, a total of 411,729 more cats’ lives had been saved in just the first two years of the campaign. Our website and social media had received 1.2 million views, along with coverage in dozens of newspaper articles and broadcasts. By early 2016, we anticipate crossing the half-million mark. From Hawaii in the west to Prince Edward Island on the easternmost edge of Canada, from Palmer, Alaska, in the north to Miami, Florida, in the south, this Challenge is making history. Will you be part of the Million? As co-founders of the Million Cat Challenge, you could say that it’s our creation. From Julie’s first shift at a TNR clinic and Kate’s first day as an animal control officer, we’ve dedicated our careers to helping cats and animal shelters. Working with two of the world’s premier veterinary schools, we’ve published research, taught courses, written textbooks, consulted with shelters across the world, and helped found the specialty of shelter medicine. Through it all, we saw how many shelters struggled to preserve the welfare and save the lives of cats, even as dramatic progress was made for dogs. We witnessed the frustration of workers who labored without the tools or resources to protect all the cats in their care. Along with shelter staff, our hearts broke for the lives lost to such seemingly simple causes. Upper respiratory infection. Ringworm. Time and space. We also saw compassion, innovation, hard work, and transformations that took our breath away. We saw shelters achieve success beyond what we ever thought possible, by means that were more accessible than we ever would have imagined. 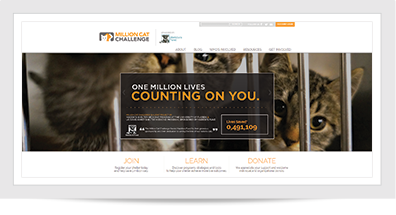 We founded the Million Cat Challenge to bring those innovations and innovators together, to support transformative change for shelters and cats, and to share that life-saving success with the world. But although we founded it, the Million Cat Challenge is not ultimately our creation. that have added their names in support of our cause; and most of all to the Challengers themselves, whose inspiration and perspiration have already saved so many lives. We are honored and humbled to gather, guide, and celebrate all that has been achieved and all that is yet to come. Through our Foster to Surrender (FtS) program, we have been able to help hundreds of animals each year who previously faced euthanasia because they had an infectious disease at the time of intake and were a risk to the health of our current population. All it took was approaching the Good Samaritans, who had already demonstrated they cared by bringing these animals to us, with the same trust and open dialogue we use when doing open adoptions. And, when we ask them to help just a little bit more by fostering with our support, so many, many of them say yes! We believe the knowledge and tools to save a million more cats already exist. 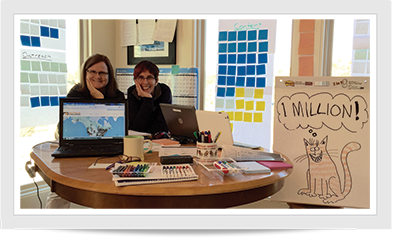 We created the Million Cat Challenge to connect the innovators and implementers who are making it happen. We believe both science and common sense support humane shelter policies that better safeguard public health, protect wildlife, and serve communities as well as cats. We created the Million Cat Challenge to bring together evidence-based research and real-life data to guide those policies. We believe shelter staff and volunteers have the compassion, energy, and creativity to drive transformational change for cats in shelters across the continent. 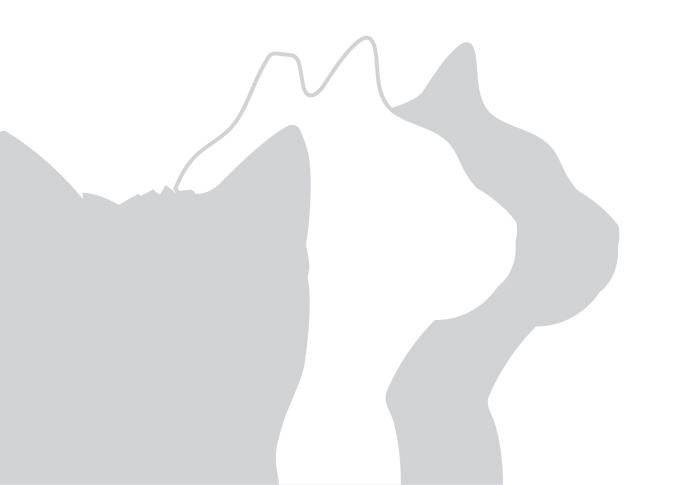 We created the Million Cat Challenge to make that progress visible to the world. happens in the shelter. While not every initiative is right for every shelter, the five initiatives provide options that any shelter can use. 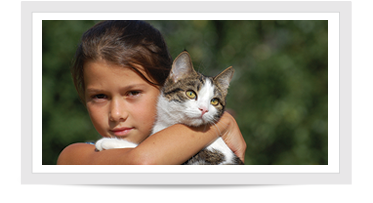 There are as many solutions to problems as there are cats presented to animal shelters. Sometimes what’s best is for the cat to stay right where it is with a little help. From caring for a litter to rehoming their own pet to finding the owner of a stray, making the community part of those solutions expands the safety net for cats. As every Tetris player knows, the least effective strategy is to let the pieces fall without a plan. Scheduling intake is the heart of managed admission and helps assure safe movement through the shelter to the best possible outcome for every cat. Determining a shelter’s Capacity for Care number is as vital in the drive to excellence as knowing the amount of gas in the tank before taking a drive across the country. Caring for cats humanely, providing great housing, and ensuring every cat’s welfare reduces length of stay, crowding, and disease while increasing adoptions. Are you trying to increase your shelter’s adoption rate? Expand the pool of adopters and expand the possibilities! By removing barriers to adoption such as cost, hours, or location, as well as implementing more open and friendly adoption processes, we invite our community to become our partner in lifesaving. When adoption isn’t right for a healthy un-owned cat, RTF provides another choice: sterilize, vaccinate, and return the cat to the location of origin. Shelters have seen dramatic increases in live release, as well as decreased intake, complaints, and DOA pickups, suggesting these programs lead to fewer free-roaming cats in the community. I am very thankful to have been a part of the movement that has saved thousands of lives and lightened the burden placed on our souls and that of our staff that have had to euthanize these cats all these years. Why join the Million Cat Challenge? We know how busy you are, so we’ve made it easy and worth your while to join. Wherever you are and whatever you’re working on, we will connect you with resources, tools, and a community of shelter professionals who share your goals and challenges. Join a private discussion group where your shelter’s leadership and staff can connect with peers for insight on issues successfully handled by organizations similar to yours. 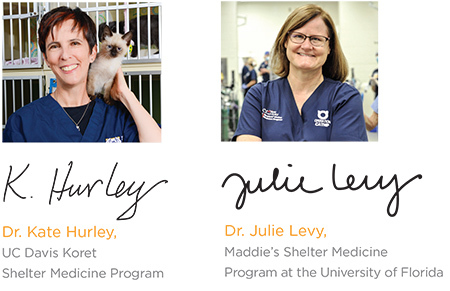 Get questions answered by Challenge co-founders Dr. Kate Hurley and Dr. Julie Levy, as well as experts and innovators from shelters across North America. Hear about grant opportunities, including some exclusive to the Challenge. Hear about grant opportunities, including some exclusive to the Challenge. Magnify the benefit of your good work by sharing it with other shelters in the Challenge, and helping us all reach our goal of saving a million more lives. Win prizes like the 7,600 vaccines that have been distributed to Challengers by our generous supporters. You can also get supporting materials like stickers, t-shirts, and window clings. Receive a press kit to help you share the news with your community. We love seeing shelters celebrated and recognized for their commitment to saving more cats. The biggest benefit of the MCC network is the ability to share best practices and the ability to connect with others doing the program. We have made several changes along the way after talking to or reading what others are doing or how they’ve found success. There is so much to be learned from one another and while, yes some of these changes might have happened without this group, having this one ‘go to’ resource is extremely valuable and needed. – Kathie Johnson, Animal Humane Society Minneapolis, Minn.
Are you working to reduce euthanasia, increase the number of cats released alive, improve the conditions within your shelter, or a combination of all three? The Million Cat Challenge wants you! Where have you been? Tell us your feline intake, euthanasia, and live release for the Challenge’s baseline year (2012) and for the most recent full calendar year. Where would you like to go? Are you aiming to reduce the number of cats coming into your shelter? Increase adoptions? See a decline in your euthanasia numbers? Tell us where you hope your numbers will be headed and let us know how we can support your life saving goals. And if you’re not ready to shout it from the rooftops just yet, don’t worry – your data is completely confidential and will only be shared as part of the aggregate as we count toward a million. Ready to get started? Registration is just a click away at www.millioncatchallenge.org. Still have questions, or need help with the registration process? Email info@millioncatchallenge.org. We’re here to help! THIS IS A MOVEMENT TO SAVE CATS’ LIVES: WHO STANDS WITH THE MILLION CAT CHALLENGE? Every pin in this map represents a shelter that is proud to stand with the Million Cat Challenge. Joining them is an unprecedented lineup of national animal welfare organizations that share our vision to save a million more cats. The Million Cat Challenge thanks Maddie’s Fund® for recognizing and boldly supporting the transformational potential of this campaign, their generous sponsorship, and their dedication to saving the lives of cats. The Maddie’s Fund mission is to revolutionize the status and well-being of companion animals. It is a family foundation founded in 1994 by Workday co-founder Dave Duffield and his wife, Cheryl, who have endowed the Foundation with more than $300 million. Since then, they have awarded more than $172 million in grants toward increased community lifesaving, shelter medicine education, and pet adoptions across the U.S.
With the creation of Maddie’s Fund, Dave and Cheryl are fulfilling a promise to their beloved Miniature Schnauzer, Maddie, to give back to her kind in dollars that which she gave them in companion- ship and love. The Million Cat Challenge welcomes the support of community members who know every cat counts! Your contribution will make it possible for us to bring the message of the Million Cat Challenge to more shelters. We appreciate all donations and support. Donations for the Million Cat Challenge are processed through the University of Florida Foundation. Clicking the Donate button below will take you to the University of Florida’s donation page where you can give to the Million Cat Challenge.